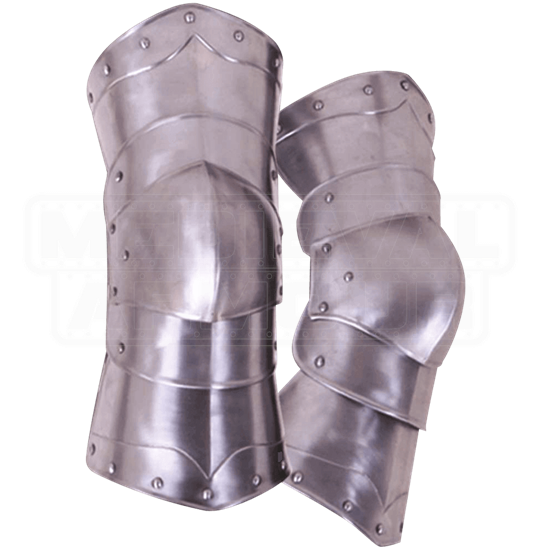 The Steel Conrad Knee Protection makes a great addition any plate armour set and is ideal for keeping knees safe during battle. Made of 18 gauge steel, they are sold in sets of two. Rivets adorn the edges of these plate armour pieces, and they feature a layered design for added visual interest. This classic look is versatile enough to suit a multitude of medieval looks. 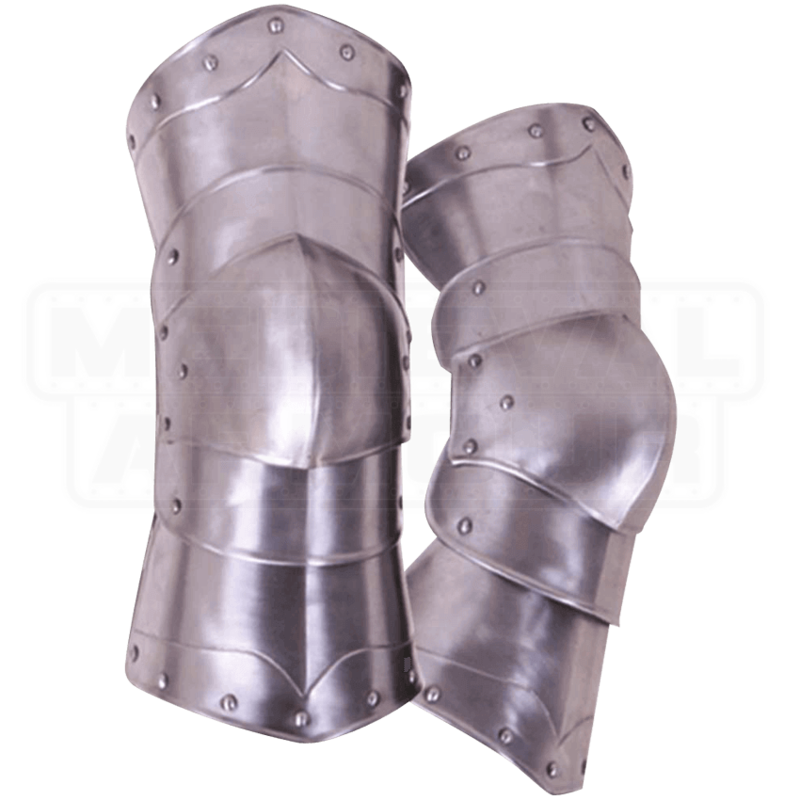 They are flexible enough to allow a range of movement, always an important quality when it comes to light reenactment and LARP. Each knee guard is secured at the back of the leg with three buckled straps.